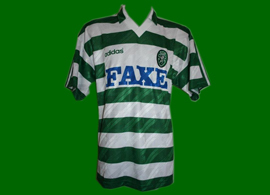 Adidas continued to be the supplier of the Sporting jerseys, this time with a regular contract between Adidas and Sporting. 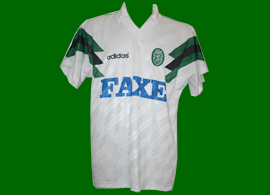 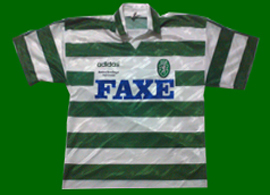 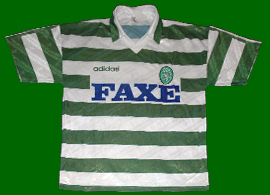 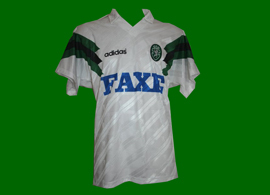 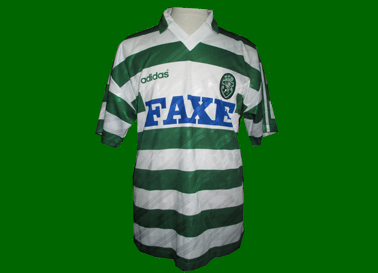 The new sponsor FAXE beer managed to have a blue background still larger and uglier than the infamous tmn blue rectangle that led to many complaints from the Sporting Lisbon supporters in 2011. 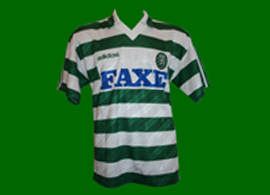 The home kit remained equal to the previous year, even in the numbering style of the match worn jerseys. 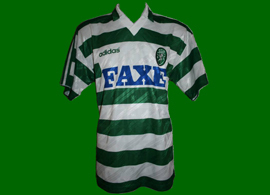 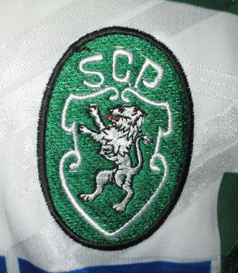 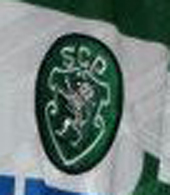 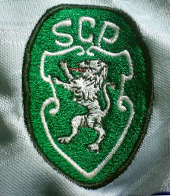 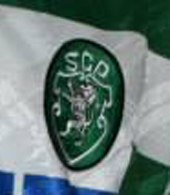 Sporting had two different away kits this year, with exactly the same design but one all white and the other all green. 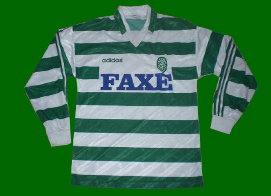 No Stromp jerseys were worn by the players. 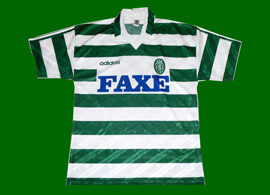 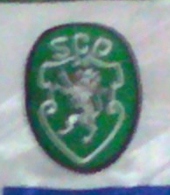 Once again no silverware was conquered by Sporting Lisbon this season, in spite of having a fantastic team with some of the world's best players, such as Figo.